Dave has been with Mason-McDuffie for 10 years. His success as a Loan Officer is supported by excellent communication and organizational skills combined with a passion to provide the best possible customer service. Dave prides himself on always being there for his clients to answer questions, whether it’s after hours or on weekends. He is known in his community for being able to close difficult loans within short timeframes when others have been unable to do so. His past customers would tell you they most valued his honesty and integrity. Dave enjoys the challenge of identifying the most beneficial mortgage product to suit a client’s needs. 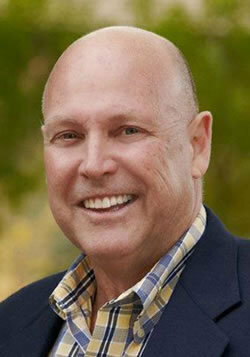 His clientele ranges from first time homebuyers to homeowners who have worked with him multiple times over many years. Dave graduated from UC Davis with a degree in Ag Economics. He has continued his professional education with certifications in National Mortgage Licensing System and the Department of Real Estate. Dave lives in Davis with his wife, Becky. Together they raised four children and have been active volunteers within their community. When not working, you will find Dave in the kitchen trying out a new recipe, out in the garden, or boating on Lake Shasta.